Linda Goodman's horoscopes continue to receive attention, even though the woman herself has died. 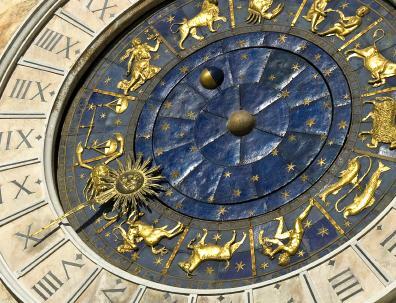 Goodman played a significant role in pushing astrology from the back burner into the light during the 1960s. She was quite a character, and her books quickly became bestsellers thanks to her wit and her conversational writing style. Linda Goodman is well known for her work in astrology. While Linda Goodman could prepare a birth chart for any individual, she's still best known for her analysis of people based on their sun signs. Her work centered around the personalities of each sign and the way they interact with each other. In later works such as her book Star Signs, Goodman branched out a bit to discuss not just astrology, but holistic healing, the powers unique to you, color meanings, crystals, and music. Even though Linda Goodman could provide others with insight about their futures and personalities, she was incredibly secretive about her own life. Shrouded in eccentricities, difficulties and mystery, she most often would give out April 9th as her birthday, but refused to confirm a time or even a year. The most frequently noted year in regard to her birth is 1925. Why did she hide her own birth date and time from the public? To prevent others from being able to reveal her chart, of course. Quite a few sources cite April 10th, not 9th, as Goodman's birthday. Astro Theme has constructed a birth chart for Linda Goodman based on April 10, 1925. According to the chart, she was an attention seeker, hungry to express her thoughts, assertive, intuitive, and self-confident. Were they right? Judging by her career, it seems so. Linda Goodman's take on astrology wasn't strictly relegated to newspapers. She wrote several books covering all the major facets of astrology, and all have received excellent ratings. Sun Signs set the tone for the success of all her other books. This was her first book, and quite a hit. It teaches you what you need to know about those around you based on their birthdays. So if your friend's an Aries, you'll know how to make the most of your friendship by understanding his/her motives and likely reactions to different scenarios. The book is written with humor, but the insight it offers is undeniable. Love Signs talks about each sun sign in love. Searching for a certain type of mate? You'll find a breakdown of each type here. Learn what you're looking for so if you do use the "What's your sign?" line in a bar, you'll know when to run or stay. Relationship Signs is another book that will teach you how to react when it comes to the flirty (and admittedly cheesy) question, "What's your sign?" It tells you why you click with some people right off the bat, and why you argue the way you do. You'll even get advice about whether to stick with a relationship when the going gets tough. Star Signs very rarely come up in amateur astrology conversations. In this book, Goodman teaches you how to reign in the power you possess and use it to your benefit. This book is still considered her most personal work. 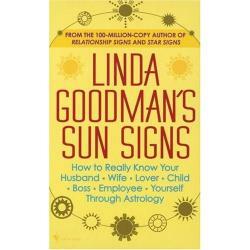 No matter which Linda Goodman astrology book you pick up, know that you are in for a fun, quick read. They may have been written roughly thirty years ago, but they're still some of the most popular astrology books around. Prior to her death in 1995, Linda Goodman befriended Crystal Bush, a woman who would become her spokesperson and the president of Linda-Goodman.net. Crystal Bush has attempted to keep Goodman in the spotlight as much as possible, releasing information under Goodman's name. One example is Linda Goodman's Star Cards: A Divination Set Inspired by the Astrological and Numerological Teachings of Linda Goodman. This card set is basically Goodman's version of tarot cards, and it has received excellent ratings. Conscious Evolution - A wonderful site to visit if you would like to hear the "lost" Linda Goodman tape discussing astrology in her own words. Linda Goodman Forums - A branch of the Conscious Evolution site. Note that many of the topics on this forum date back to 1999. No matter which Linda Goodman book you read or tribute site you visit, one thing is clear; Goodman walked to her own drumbeat and was unafraid to shake up the status quo. Her astrological insight and her irreverent personality endeared her to millions, a fact that is evidenced by her continuous popularity. Moreover, it is this very popularity that clearly demonstrates that Ms. Goodman is as relevant now as she was when she first published Sun Signs in 1984.